American Express is known for generous sign on offers for new card holders – but if you currently hold an AMEX, there are a number of ways that you can earn bonus points too! We’ve previously written about the generous AMEX ‘Refer a Friend’ program which can earn eligible card members up to 200,000 points per year. 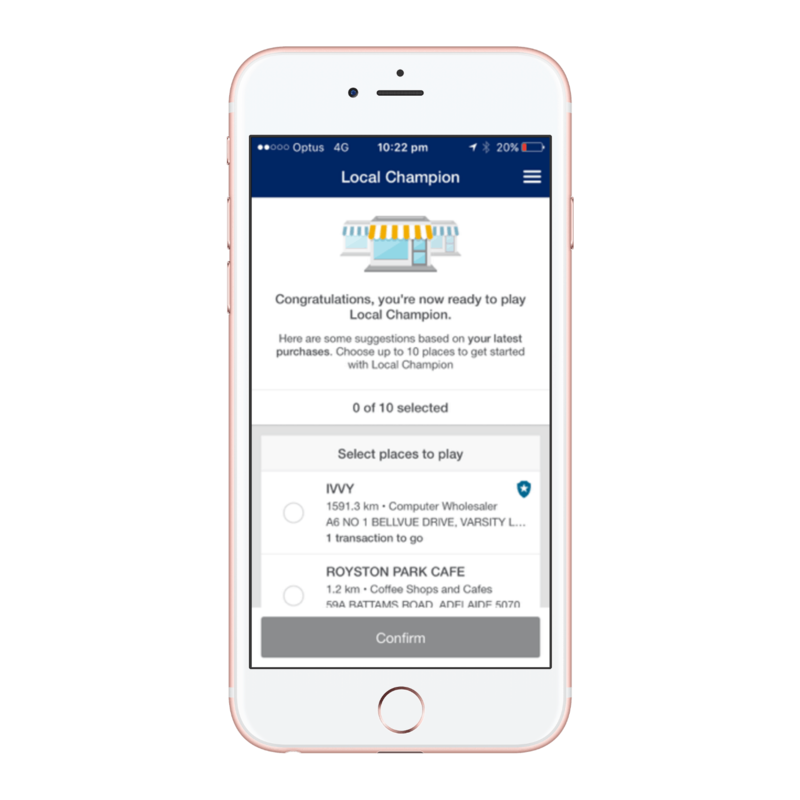 Now we’ll introduce you to AMEX Local Champion – a fun way to earn an extra point per dollar at merchants where you regularly use your AMEX card. 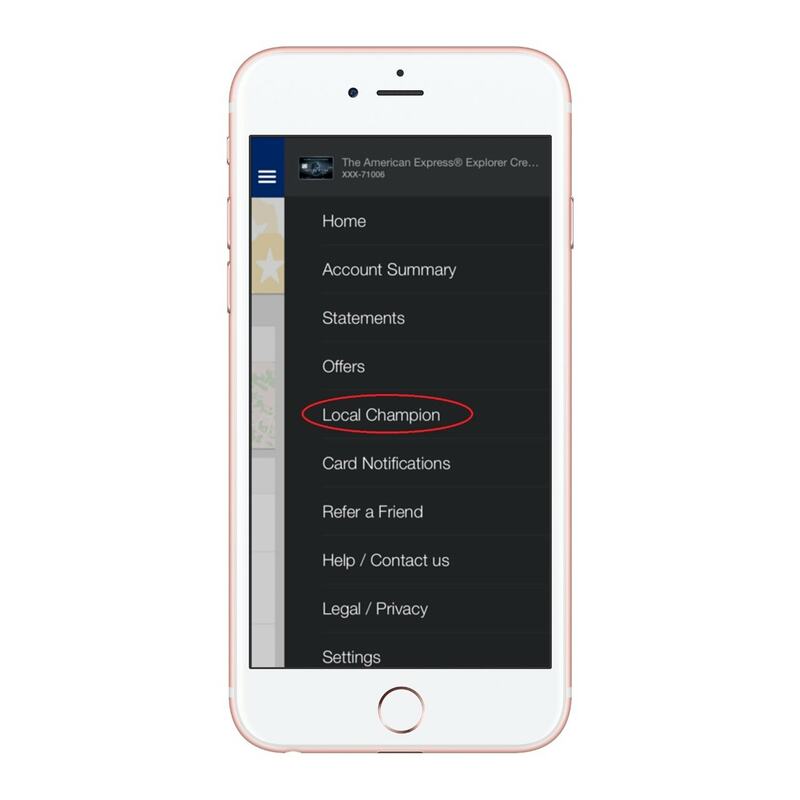 What is AMEX Local Champion? 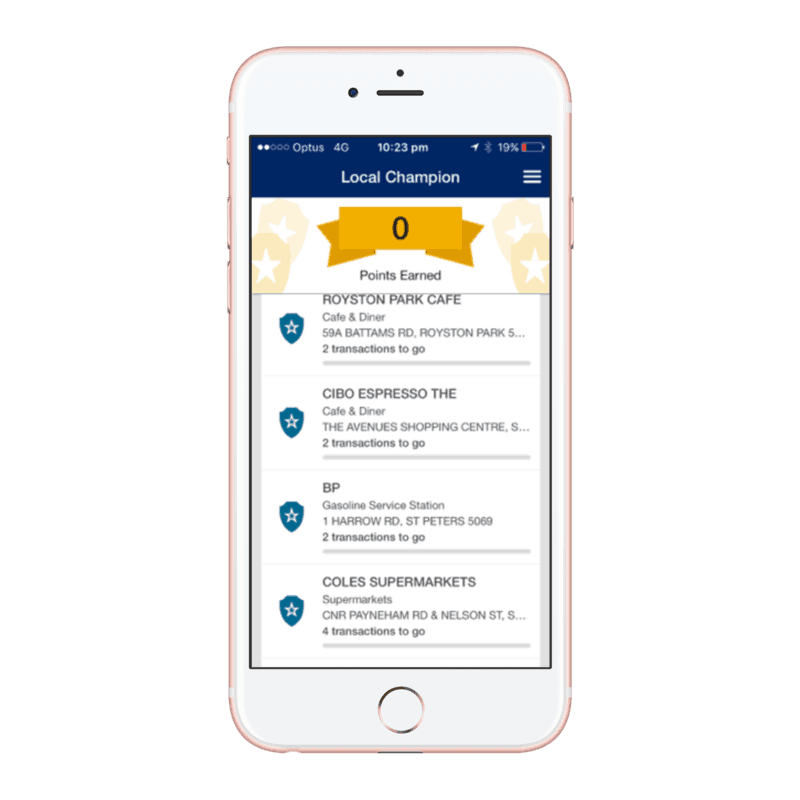 In a nutshell, AMEX Local Champion is a ‘game’ which enables eligible card members to earn an additional bonus point per $ spent at businesses where they shop most frequently, up to a cap of 10,000 points. You can select up to 10 merchants you’d like to play at. Once you become the AMEX card member who makes the highest number of purchases at a nominated retailer in a 30 day period, you’ll be crowned ‘Local Champion’, earning an extra point per $1 spent each time you return – that is, until another AMEX card member vying for the title dethrones you. Which cards are eligible for AMEX Local Champion? The bonus point are accrued in the rewards scheme that your card usually earn points into, being AMEX Membership Rewards, Qantas Frequent Flyer or Velocity Frequent Flyer. Supplementary card holders and bank-issued card holders are ineligible to take part, as are American Express business, corporate and government cards. Those holding David Jones and David Jones Platinum AMEX cards are also excluded. A tally below each business advises you on how many transactions you need to complete before being crowned Local Champion. The number of transactions required will vary on the popularity of the businesses – for example, being crowned AMEX Local Champion at a popular and busy retailer might require a large number transactions, as there are likely to be more AMEX card members vying for the title. Conversely, smaller retailers that don’t process many AMEX transactions may require you to make only one or two transactions in order to qualify. Once you’ve registered, you can easily add and delete merchants from your Local Champion list by using the ‘edit places’ option. However, note that when you remove a business from your list, your tally of transactions at that business resets and you’ll need to start again. 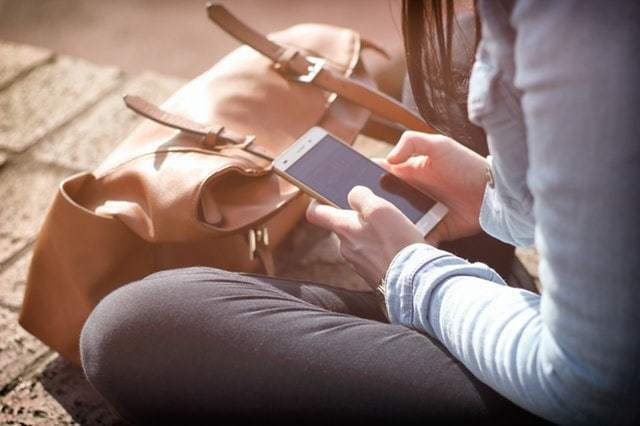 AMEX Local Champion is based on how often you spend at a specific business, rather than how much you spend on each transaction, so the key is to target retailers that you visit frequently. At your local café, you might be able to easily obtain the Local Champion crown simply by buying your daily coffee with your AMEX card, rather than using cash. For busy and popular retailers where competition for the Local Champion crown can be high (think Myer, Coles and Kmart), consider making lots of small, legitimate purchases frequently. Then, when you’ve obtained Local Champion status, you can make that big purchase you’ve been thinking about for a while, getting credited with an extra bonus point per $1. Combine these top everyday earning rates with Local Champion, and you could earn a significant 4 points per $1 spent – by far the highest rate in Australia! You can earn up to 10,000 bonus points by playing AMEX Local Champion. This is a lifetime cap and is applied per card – once you’ve reached it on your card, you can’t earn any further points in the game. 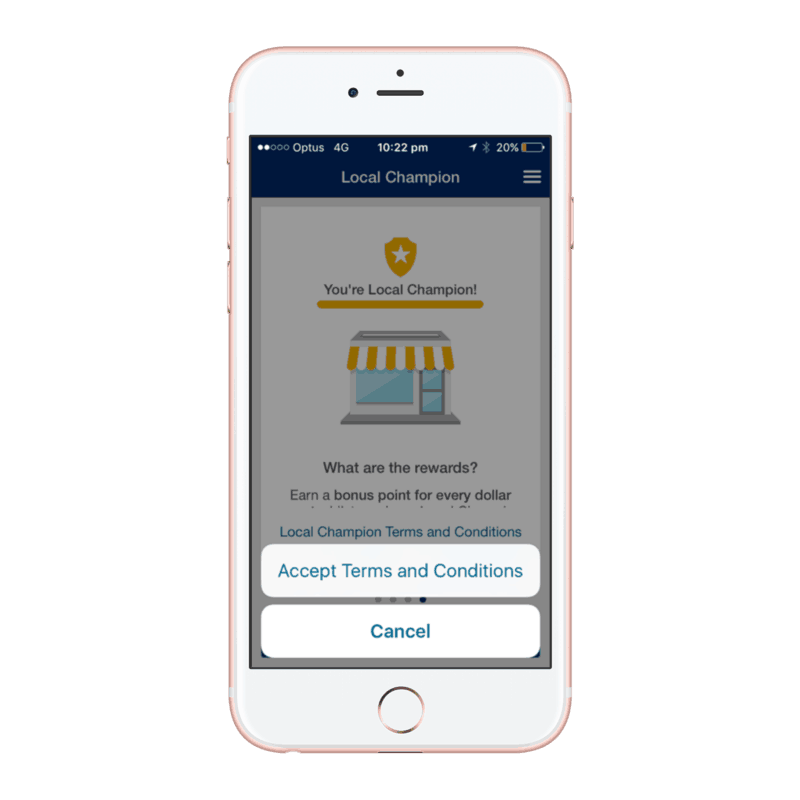 Transactions won’t count towards your tally for a particular business until after you’ve added it to your AMEX Local Champion list – so remember that you won’t start earning bonus points until you’ve been crowned Local Champion. You can expect your AMEX Local Champion bonus points to hit your account within a few days of your qualifying purchase being processed. AMEX Local Champion is one of the many ways that American Express rewards existing card members with bonus points. It’s a great way to boost your AMEX points haul steadily, simply by spending where you normally would, and it only takes a few minutes to register.